So the big bag of organic carrots was on sale at Costco. You bought it…and now you are desperately trying to find ways to use the carrots. After baking vegan carrot cake (see recipe under https://ourfunstuff.wordpress.com/2013/11/24/vegan-carrot-cake/), eating lots of carrots with the lemony bean dip (see recipe under https://ourfunstuff.wordpress.com/2014/02/01/lemony-bean-dip/), and making curried carrot soup (see recipe under https://ourfunstuff.wordpress.com/2013/11/12/curried-carrot-soup/)…you still have lots of carrots left…and upon checking in the fridge, there is an apple that needs to be used up as well. 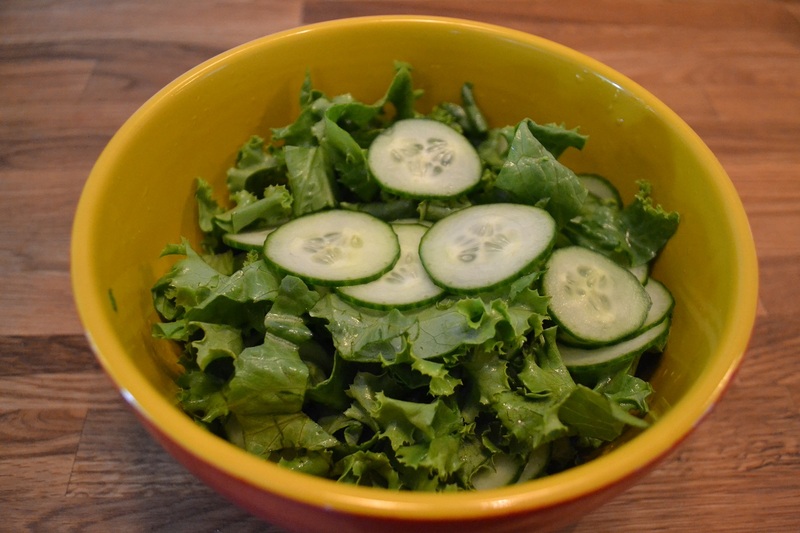 So why not making this refreshing salad. The lemon juice gives it some kick. The oil allows the better absorption of the vitamin A and who doesn’t want to be able to see better in the dark 😉 Not to mention the salad is yummy. 1. 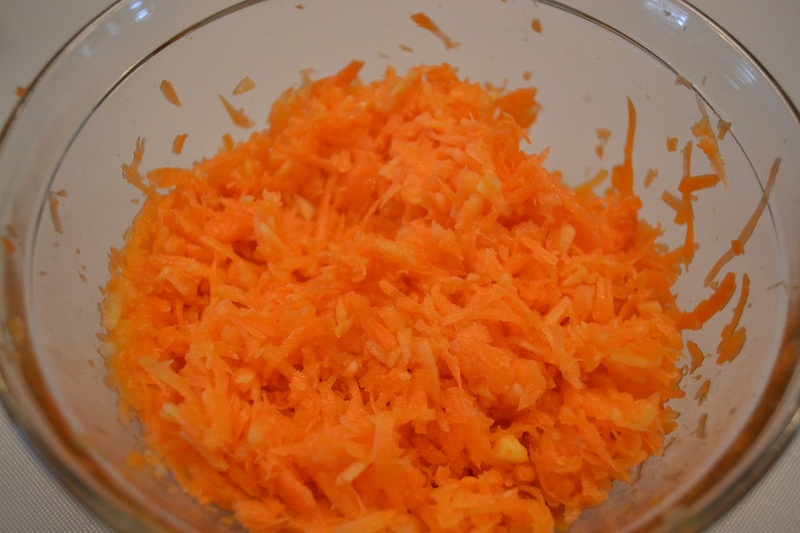 Mix the shredded carrots, shredded apple, oil, lemon juice, and sugar. Note: Stores well in air-tight contained in the refrigerator. Great healthy yummy snack. Categories: In The Kitchen, Soups & Salad | Tags: apple, carrots, salad, vegan, vegetarian | Permalink. 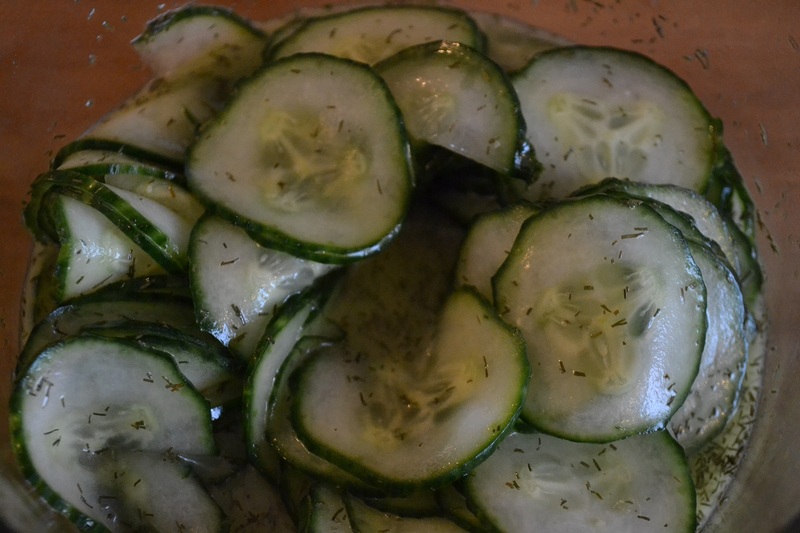 So…every time I wanted to make cucumber salad I went online (checking both German as well as English recipe sites) to check for a recipe for cucumber salad with dill sauce…the way my grandma used to make it. Every single time I got frustrated as all the recipes contained a dairy product in the ingredients. So I decided to create my own and here is what I came up with…completely dairy free. 1. Thinly slice the cucumber. 2. Mix the ingredients for the salad dressing. 3. Add salad dressing to the cucumbers and mix it together. Note: Keeps well in the refrigerator in an air-tight container. Categories: In The Kitchen, Soups & Salad | Tags: cucumber, salad, vegan, vegetarian | Permalink.